A commercial video production is one which could be used for commercial purposes. Simply put, commercial videos are advertising and publicity. These videos promote services, brands or products. The main purpose of a commercial video can be to raise awareness, increase conversions, generate new leads or nurture the existing ones. Commercial videos can directly or indirectly generate ROI or trigger revenue. Promotion video, marketing video, product video, brand building video, corporate video, individual or company profile video come under the commercial videos. Videos online are going viral and the world population is focused on videos posted on the internet. In such a scenario, commercial videos can help businesses raise awareness about themselves. There are certain benefits to making a commercial video. Selling Directly – Commercial videos offer you the option of selling your product or service directly to a consumer. Infomercials are a good example; wherein potential customers get to “call now” and the video demonstrates the use and benefits of the product. A good commercial video will not only attract customers but also persuade them to buy your product. Target Audience – Television and channel operators often keep a detailed record of their audience demographics. A commercial video can target the right audience and bring business. A video can also have a wider reach and touch more potential customers than other media. Revenue Generation – A commercial video will raise awareness about a business’s product and indirectly affect revenue. A good video reaches out to its potential customers and impacts sales. The higher the sales the more will the revenue be. Memorable – Videos are more memorable than any written content. A common man is exposed to many written messages online and it’s difficult for customers to remember any of it. However, a good video impacts the customers more easily. SEO – Video used to raise awareness about a business creates SEO advantages. Search engines hold video in regard and in fierce competition, a video can do wonders. In every search, there are videos that appear, and any viewer is more likely to look at the video than go through written content. Personal Touch and Customer Satisfaction – A video helps in making a personal connection with users, especially if the user has a short attention span, many distractions and a busy schedule. A visitor may be resistant to engage with content, but a video makes this easier. Videos can also be used for customer satisfaction. Many of them are used to demonstrate the usage and advantages of a product or service. Once a potential customer knows this, then they can be happier with it. East of Normal offers Video Production Services NYC along with website design and branding. East of Normal has unique views of the world, unconventional thought processes and idiosyncratic ideas to deliver exceptional work to clients. 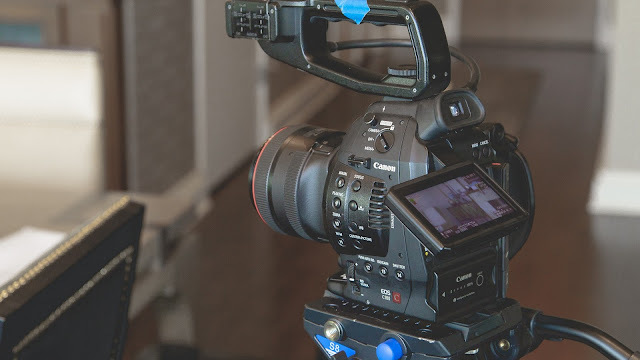 They have worked with big names in CommercialVideo Production New York and can make your business shine with their experience and creativity.